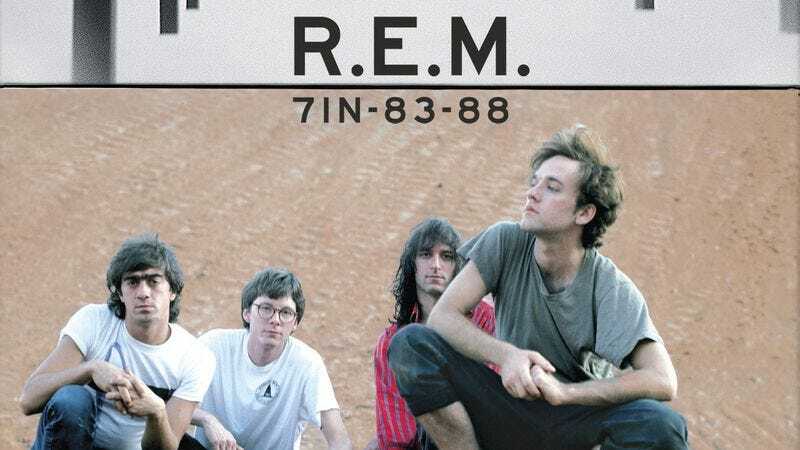 One of the many “highly contagious” items covered in our 2014 holiday gift guide, 7IN-83-88 is a new boxed collection of vinyl seven-inch singles from the early days of R.E.M. The set includes 11 7-inches (each in their replicated original sleeve art) of the band’s iconic output from Athens, GA between 1983 and 1989. Because the holidays are upon us and we’re in a gift-giving mood, The A.V. Club has an opportunity for you to win a copy of this brand-new box set. For your chance to win, simply send an e-mail to avcontests@theonion.com with the subject line “Can’t Get There From Here.” Please include your full name and mailing address in the body of the e-mail. A winner will be drawn on Monday, December 8 and notified shortly thereafter. 7IN-83-88 is available December 9 on Capitol / I.R.S. Records and is currently available for pre-order via Amazon. Retail value for the box set is $109.99.